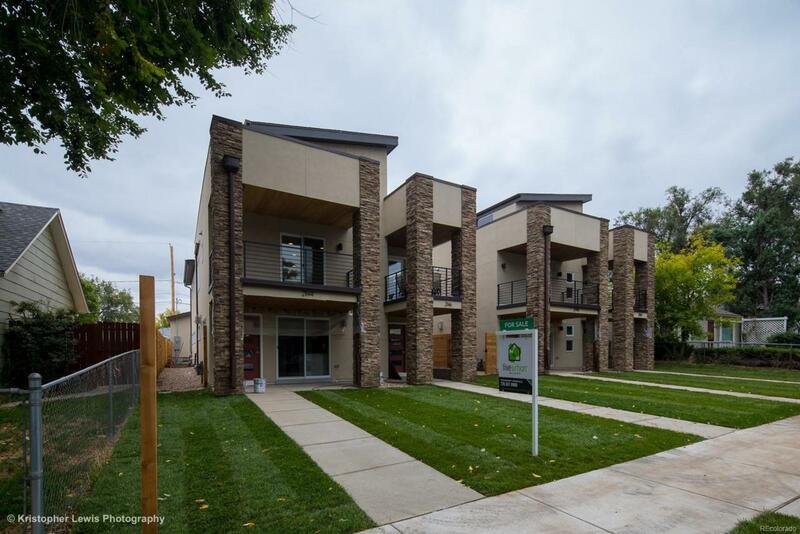 Make a timely investment or live the dream in this welcoming South Denver neighborhood. Our 3 bedroom, 3.5 bath contemporary duplex is all you have been wanting. This 'smart' home is wired to control the electronics including a video doorbell, from your tablet. Superior finishes; hand scraped floors, powder coated iron, quartz counters, soft close drawers, S/S appliances. Single-family feel of our open concept home brings tranquility with no HOA's! Patios and TREX decks to relax in the evenings enjoying the mile-high breezes and perfect views of the sunset. The secluded Master level elevates your comfort on the 3rd floor and has an en-suite bath, wet bar w/ beverage fridge and rooftop patio. New construction is waiting for your touch. Two car garage is equipped with 220 charging. The neighbors are bragging about the trendy and pet-friendly charm of Rosedale with its huge parks, many excellent restaurants and coffee shops, LR Station with other easy transit. Owner is Licensed CO Agent.